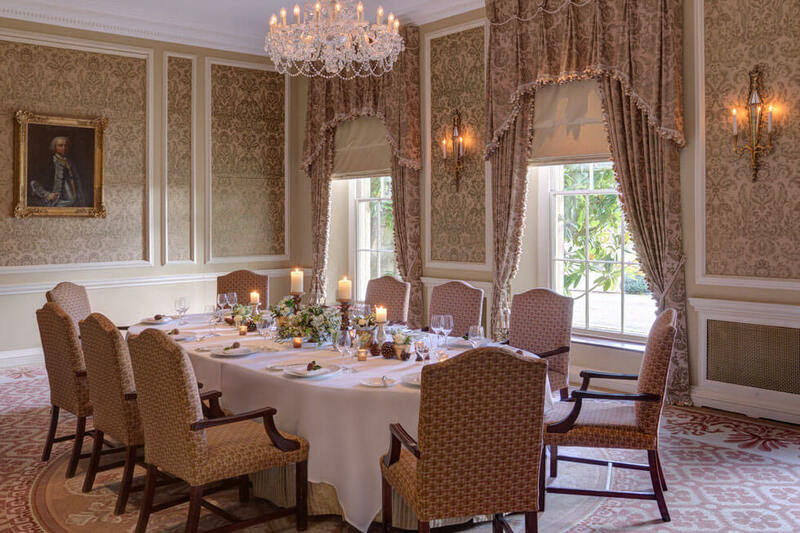 Located on the ground floor of Lucknam Park’s main house overlooking the grounds to the front with large windows providing plentiful daylight. A beautiful, elegant and versatile room accommodating up to 30 for a private dinner or 50 for a theatre style meeting. Located on the ground floor of the main house, next to the Wallis Room and overlooking the courtyard with natural daylight. Comfortably seats 15 boardroom style and 18 for a private dining. Very versatile and is popular for small cocktail receptions and theatre style meetings/presentations. Located on the ground floor of the main house overlooking the courtyard with plenty of daylight. 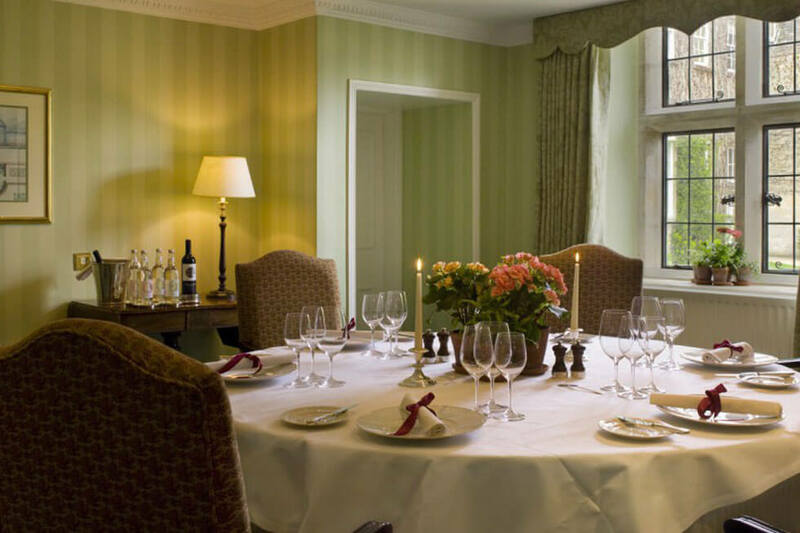 Ideal for meetings or private dinners for 8. 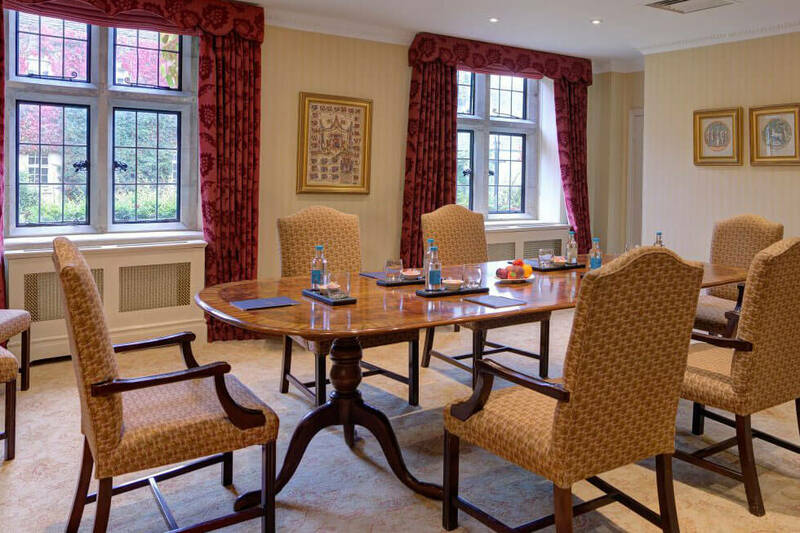 Located on the ground floor of the main house adjoining the Boardroom, overlooking the courtyard and with natural daylight. 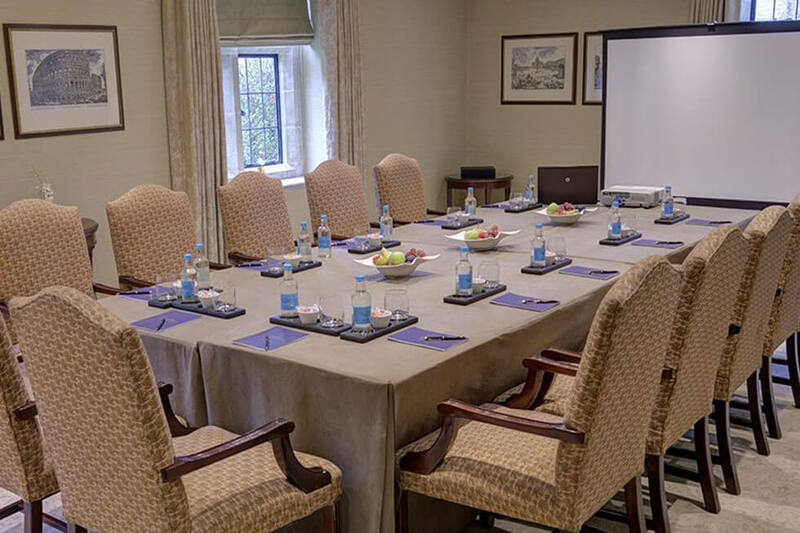 Slightly larger than The Boardroom accommodates 10 for boardroom style and 12 for a private dinner on an oval table.